The Outlander Season 2 soundtrack will be out October 28! Take a look at the tracklisting and pre-order your copy. OHITHERE Sassenachs, long time, no speak… how’s Droughtlander going for you? I, for one, am desperate for any and all news about Outlander Season 3! Earlier this summer Showrunner Ron Moore did a Twitter Q&A, giving us a little insight into the adaptation of Voyager (book 3 in the Outlander series). We know that filming will begin late August/early September. Last week, Sam Heughan confirmed on twitter that he was “back in Outlander world”… so it seems pre-production is underway. We also know that for now, plans are to film in Scotland, but not decisions have been made beyond that. Those of us who have read Voyager know that some of our fave characters spend a significant portion of the book at sea, so filming those scenes will be very interesting. Well, Tweeps, as soon as we have any official information about Season 3, we’ll be sure to share. But to tide you over, we do have soundtrack news! 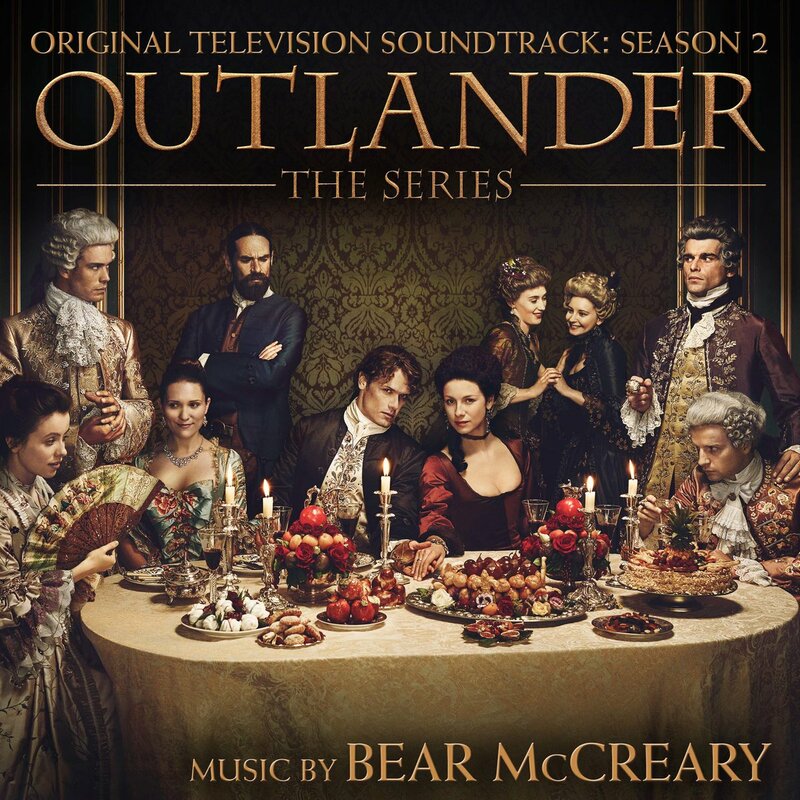 Last month Bear McCreary announced that the Outlander Season 2 Original Television Soundtrack would be coming in October, but now we have more details. I *really* can’t wait to hear “Honey Pot” (*giggles*) and I’m pretty sure “Faith” and “Destiny of Culloden Moor” will shatter my heart. Pe-order your copy on Amazon today!